Our second day in London was just as full as the last. 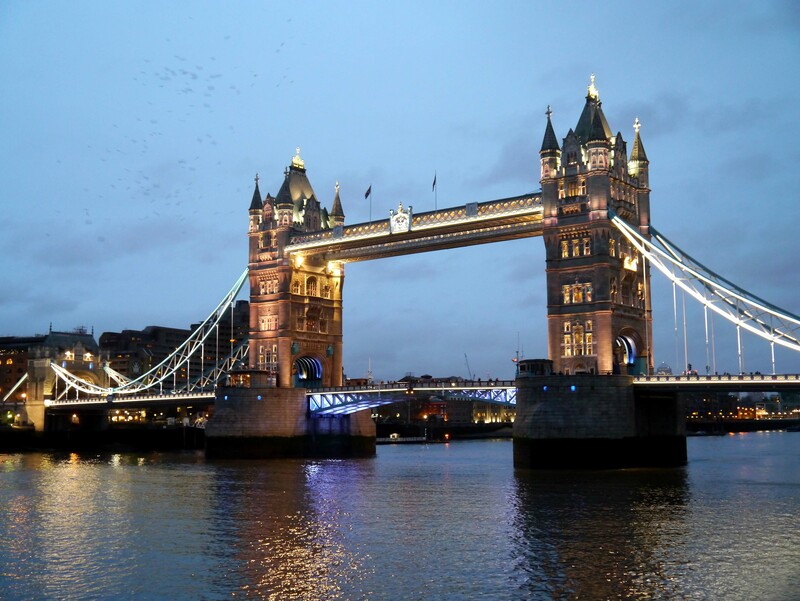 We rode the underground to the Tower of London. 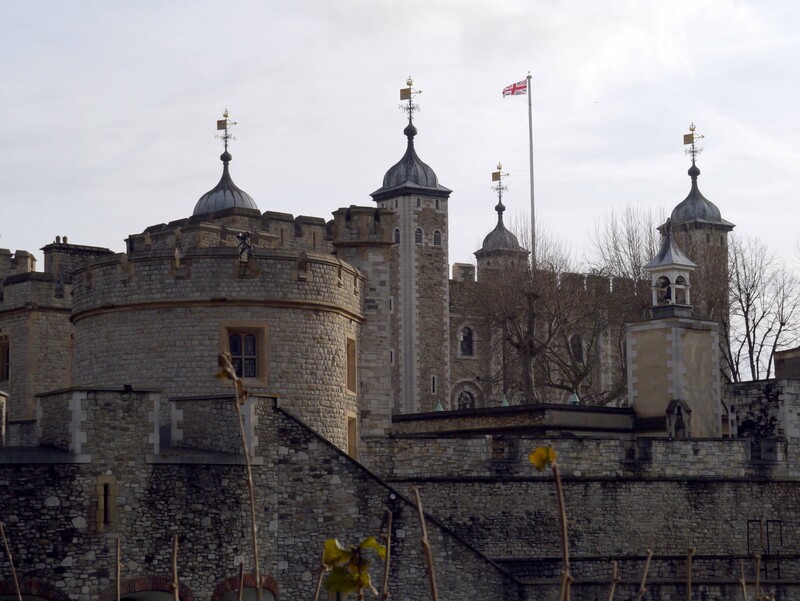 The fortress, which sits right along the Thames was built by William the Conqueror and over the years other royals added to the fortress. The Tower is very impressive, although it was strange to see the old castle surrounded by more modern and taller buildings. Upon entering the fortress we were greeted by Water Lane. This area was originally part of the river, but the water was pushed back. Looking down on the entrance to the fortress. Just a quick walk down Water Lane is Traitors’ Gate. This is another entrance to the fortress, but not one that many people would be happy to use. Originally, the gate was meant to be used as a water entrance to the fortress, but during the Tudor’s time it was used as a prisoner’s entrance. 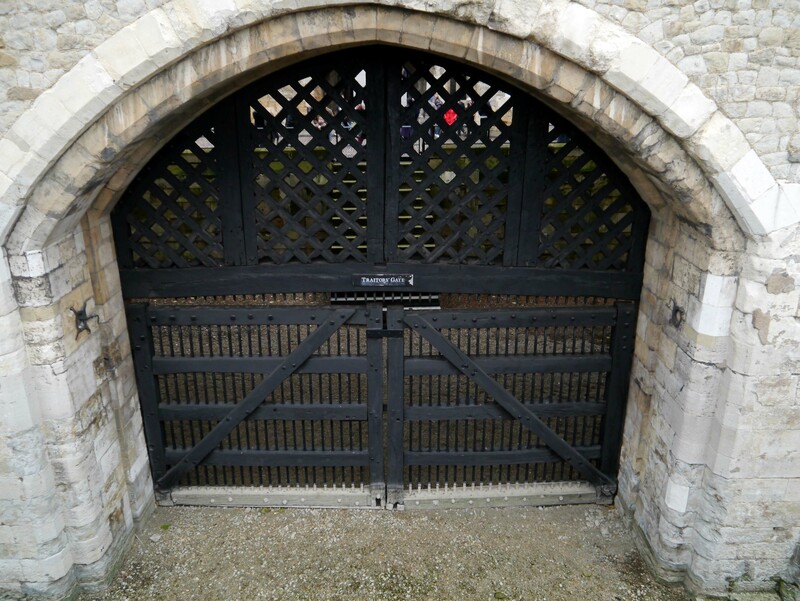 One of the more famous prisoners to pass through this gate was Anne Boleyn. After Traitors’ Gate we made our way along the Wall Walk, which took us around the outside wall of the fortress, showing what life was like for the soldiers, how they would have defended the tower and even what life was like for the animals in the royal menagerie. 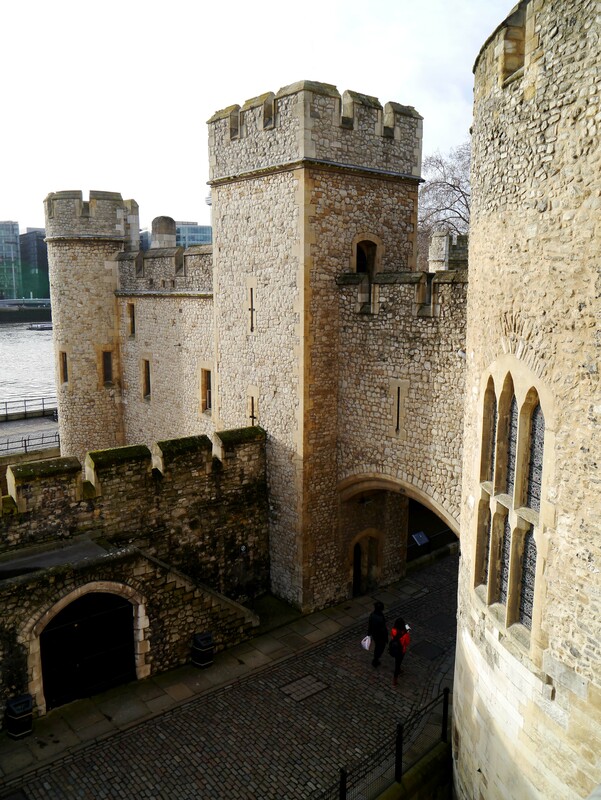 After the tower walk, we came to the building housing the Crown Jewels and from there we headed to the White Tower. 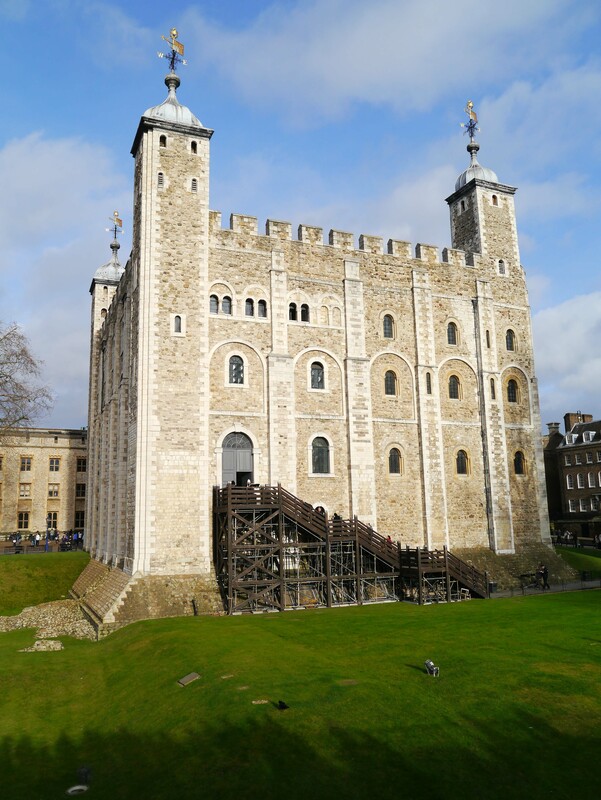 The White Tower is a fortress within a fortress. It stood for the king’s power and I can only imagine how impressive it looked sitting atop its hill next to the Thames. Today, it is full of old relics of past kings and knights. Hopping joyfully on the lawn before the Tower are the famous ravens. If the ravens leave the tower it will fall, along will the power of the monarchy. Today, there are seven ravens, although there were originally six. I suppose it doesn’t hurt to be safe. 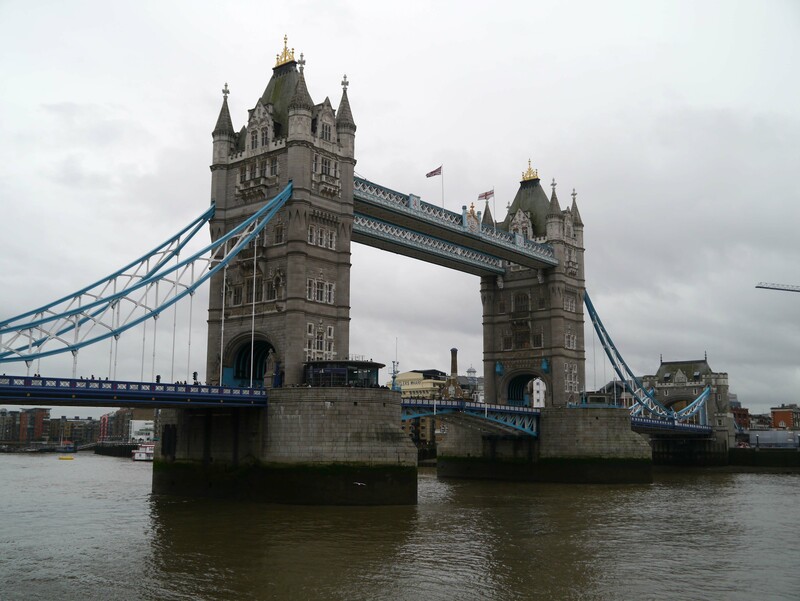 After leaving the Tower we headed along the river and took a stroll over to Tower Bridge. 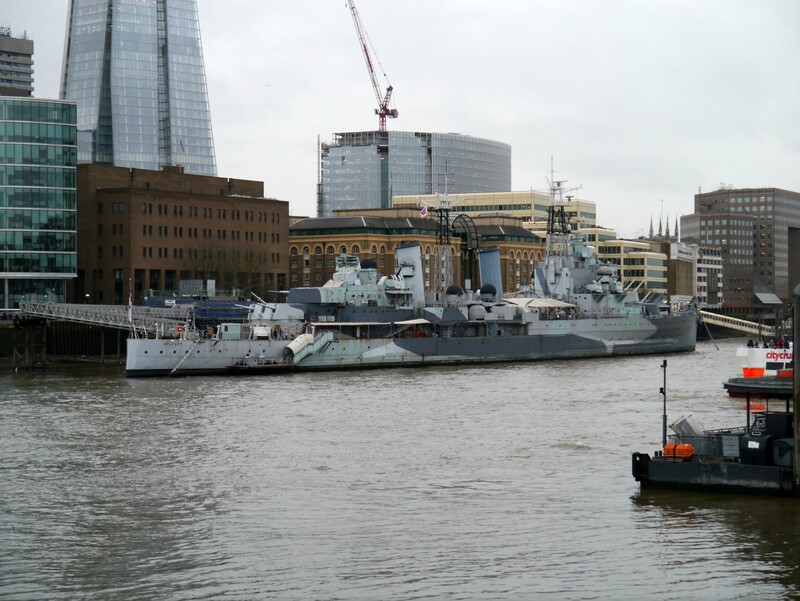 Just across from the Tower of London on the other side of the Thames is the HMS Belfast, which was a used as a warship during WW II. 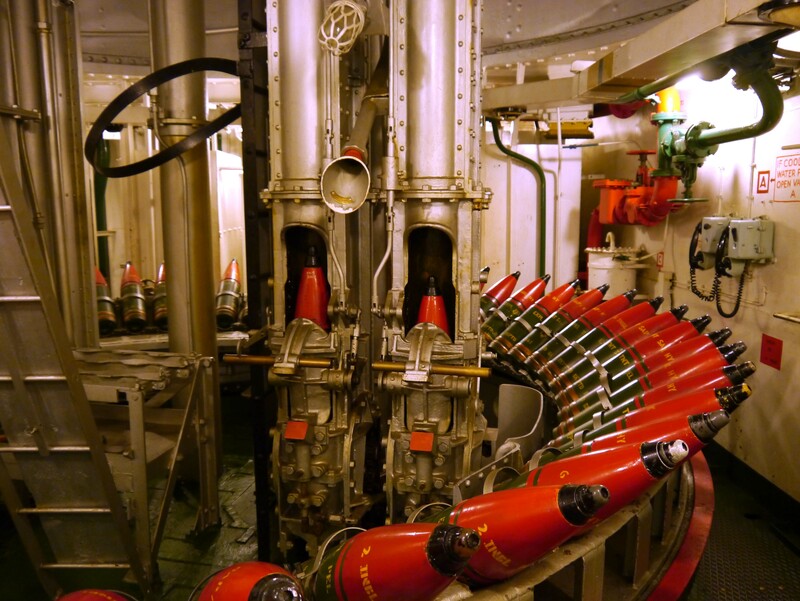 When we boarded the HMS Belfast, I was immediately impressed. 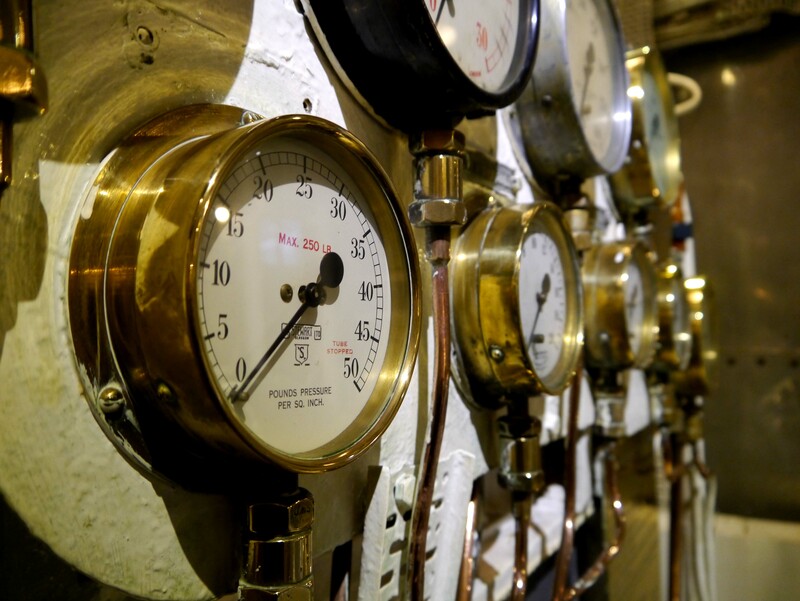 The tour took us through level after level of the ship and really went into detail about how each part of the ship had been used, who had used it and what its purpose was. 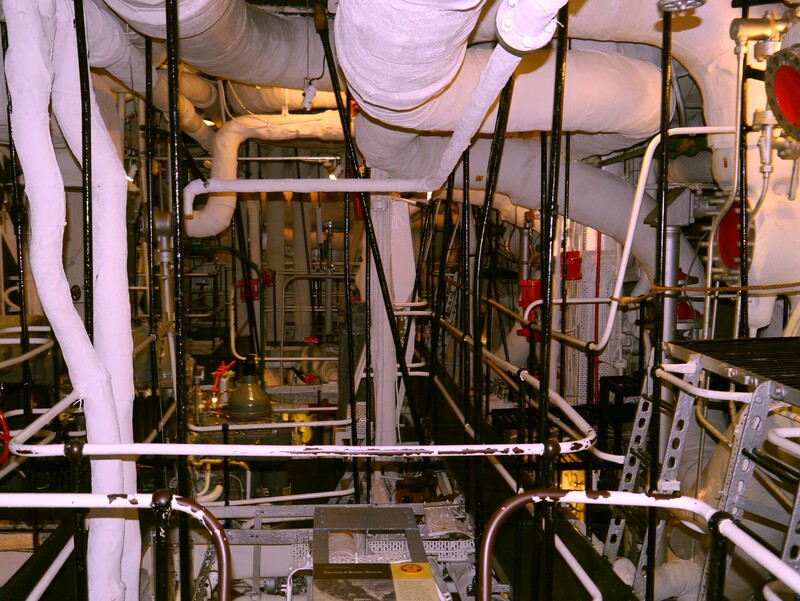 My favorite part was climbing down a small ladder to reach the engine rooms, where we had to duck under pipes and walk on small walkways to find our way through the maze. 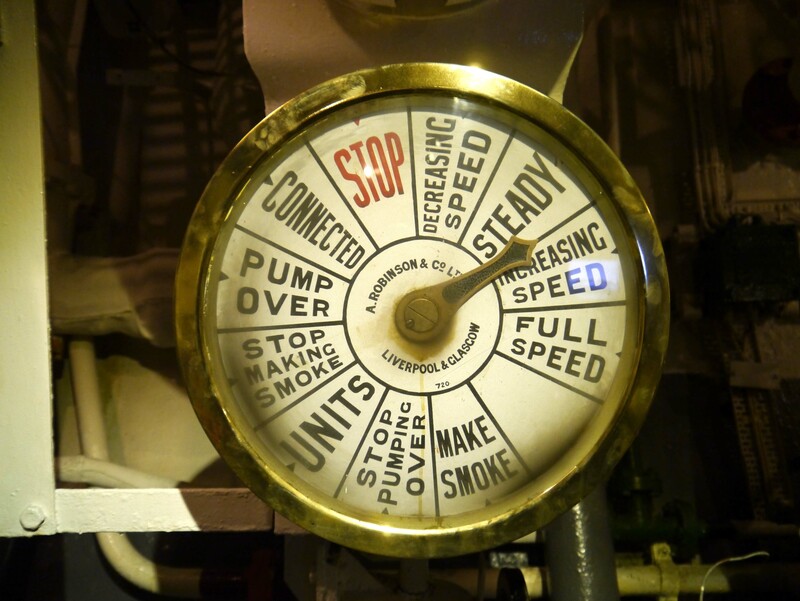 Every few minutes a recording of the working engines demonstrated just how loud the ship was when moving. I have a newfound respect for the men that worked down in that dark and confusing place. It probably took us a good hour and a half to make it through the ship and that was after getting lost a few times. Once we came up on deck the sun was already setting and the city began to glow. 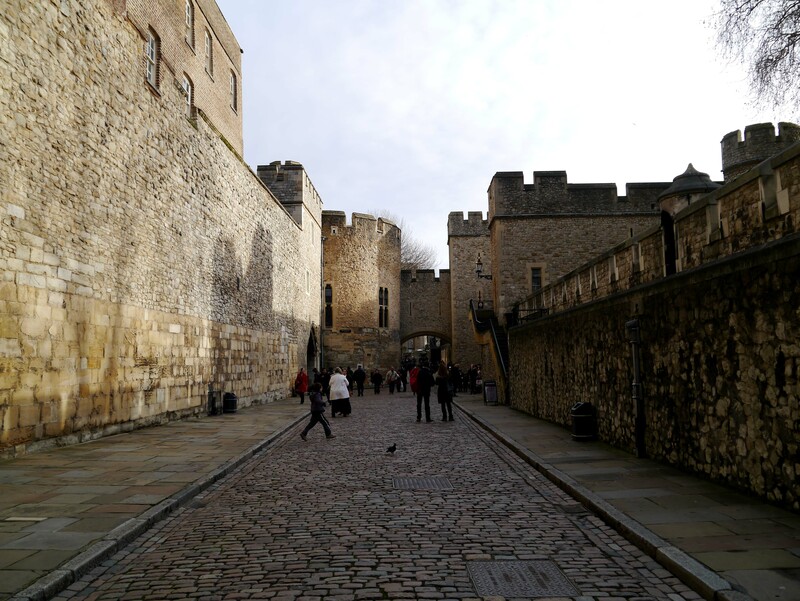 A stark contrast between the stone Tower of London and the new glass buildings on the left.